Last week's days and days of solid rain finally broke this week, and we enjoyed two lovely outings to the pool this weekend. Saturday's was after I'd done a particularly challenging and wonderful Zumba class, and the water pretty much felt like heaven on earth. Yesterday, we joined in with a hundred other families for the Young Families Pool Party at our church. Pizza, Dippin' Dots, and a super cool pool facility-- it was definitely the place to be! 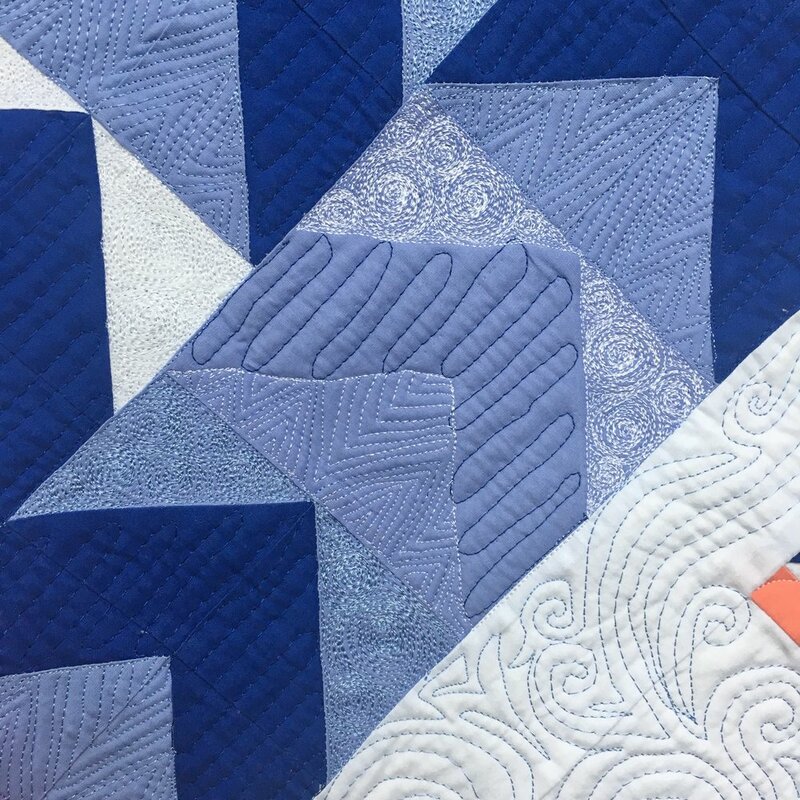 If you're new, welcome to the #MachineQuiltingBlogHop! If you're a familiar face, welcome back! 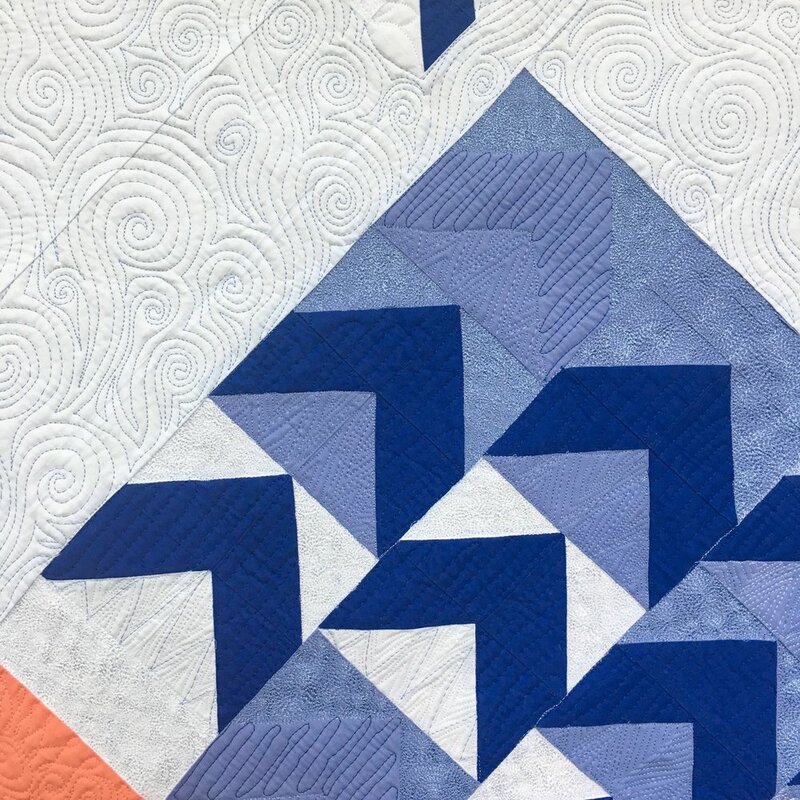 Vicki, Jen, Kristin, and I have spent about two months working our way through Angela Walters' and Christa Watson's book, The Ultimate Guide to Machine Quilting. 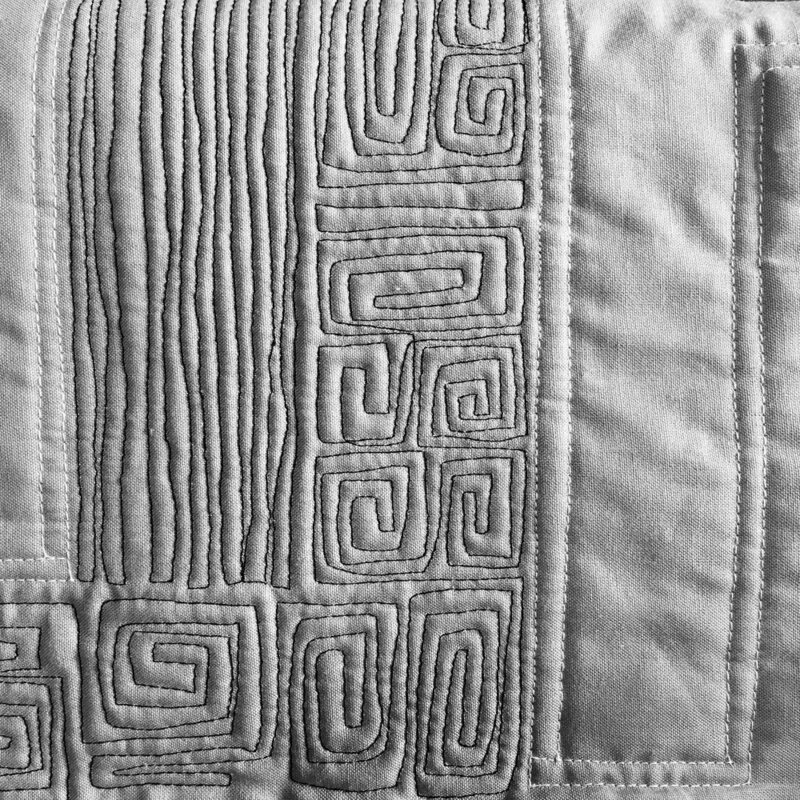 I've been quilting at least 5 days each week, and I am beyond thrilled with the progress I see in my work. Oh-- and spoiler: keep reading to the end because we're starting a giveaway!! 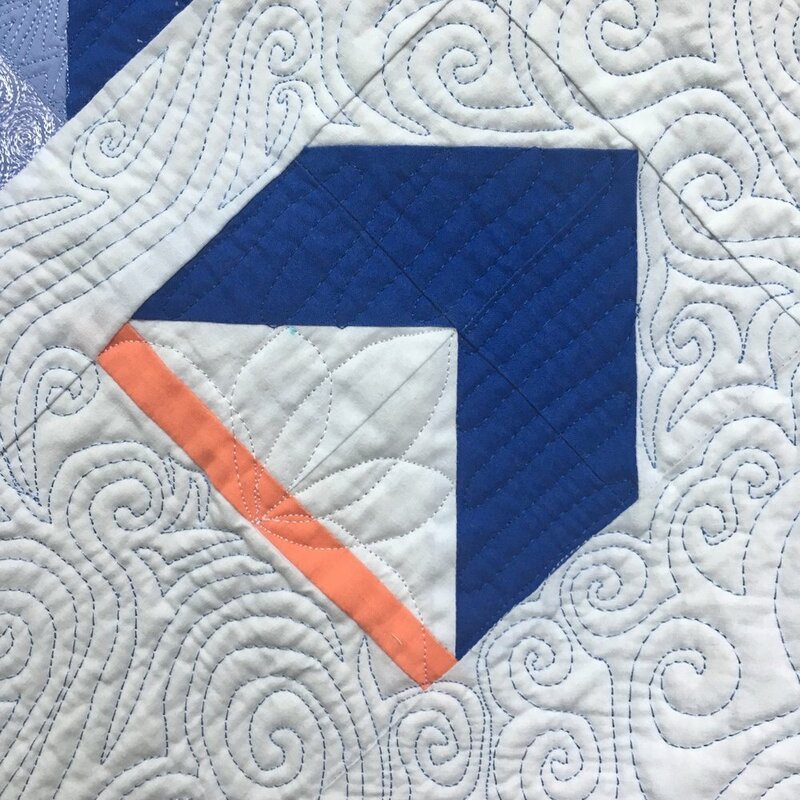 This week of the hop was our last week of review-- next week we will each stitch a whole cloth quilt as a cumulation of our hopperly learnings. (gulp) To practice this week, I worked on two quilts and one practice piece. First up: Perfect Fit. As y'all may know from other posts, this is a pattern I have written that is in the testing stage. This week I started quilting the very first "prototype" while also working on piecing my official test. While none of the three designs I'm using is giving me particular difficulty, I did learn that black thread on black fabric should really only be attempted when there is plenty of good daylight. As the aforementioned rain filled most of the week, I only got a few hours of stitching in. I'm hoping to have this one finished for our grand finale next week! 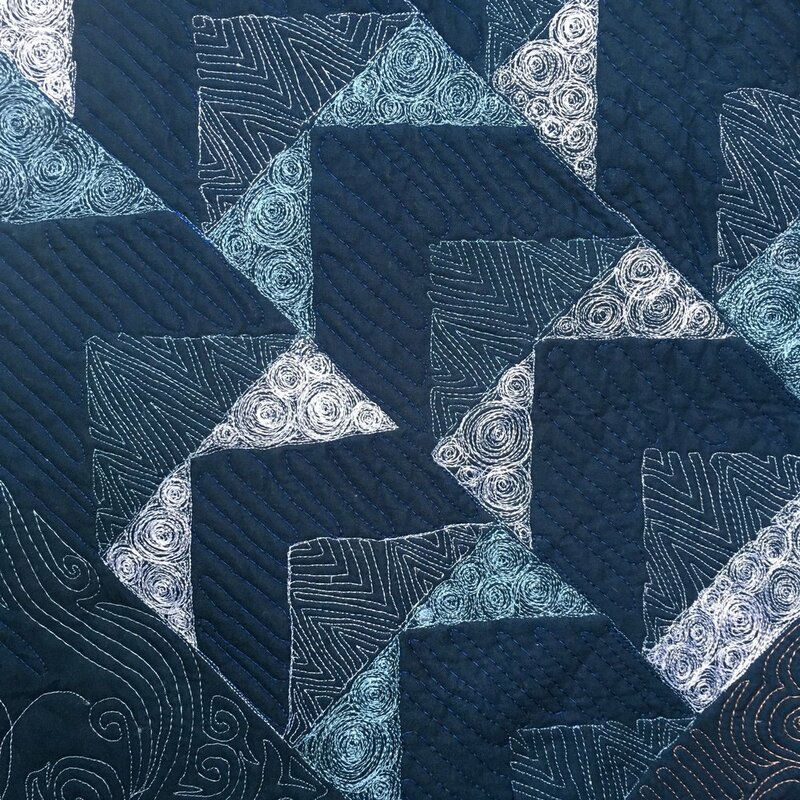 Next: Modern Birds in the Air (quilt designed by Frances Dowell) is D FOR DONE! Well, the quilting is, anyway. As I was trimming it today, I decided that it was time for me to try my hand at learning to block a quilt. ha! You can see the front up at the top, and the back is just above. That's all for now, folks! Without further ado, our GIVEAWAY! YAY! Terms: This giveaway is generously sponsored by Martingale Publishing. 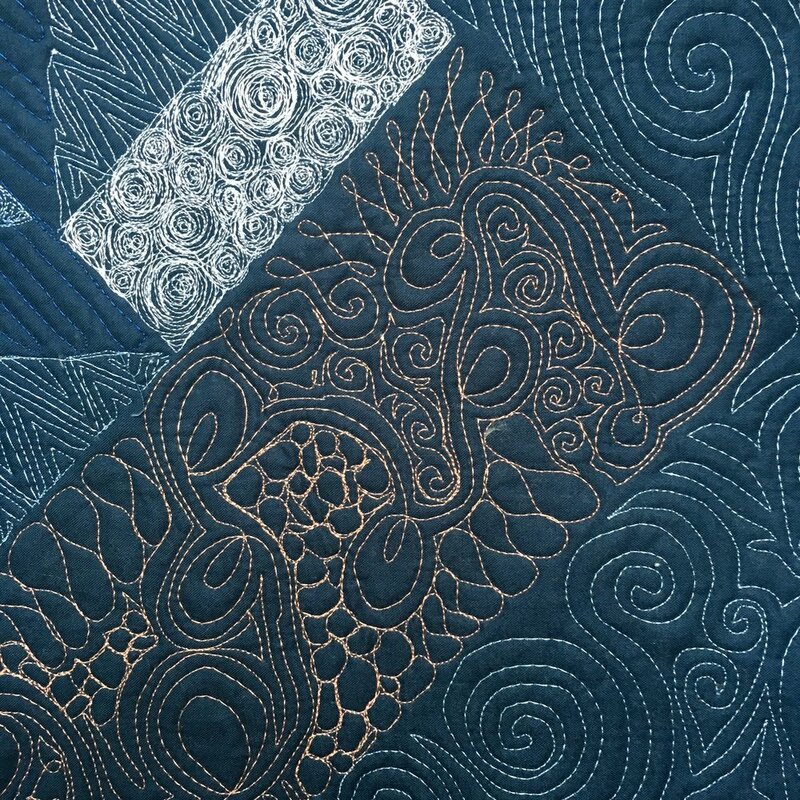 The winner will receive one copy of The Ultimate Guide to Machine Quilting by Angela Walters and Christa Watson. If the winner resides in the United States or Canada, they will have their choice of a physical or digital copy of the book. If they reside outside the US and Canada, the winner will receive a digital copy. You can enter anytime between June 26, 2017-July 7, 2017. How to Enter: Leave a comment on this blog post telling me what your favorite part of the blog hop has been or what you have learned. For a bonus entry, tell me which quilting motif you would most like to see me make a video about. Be sure to visit Vicki, Jen, and Kristin to see what they've been stitching, and I will see y'all next week for the final week of our hop! In the meanwhile, I'd love to see you on Instagram @stringandstory, and I'd love to see you Saturday morning for my Newsletter! PS Click the badge below to review previous weeks of the hop and read lots of fun interviews! PPS Hubster showed me this video while I was writing this post. As a deep appreciator of the Dad Joke, it had me CRYING with laughter. Don't we all need a good laugh on a Monday?